Webnexs CRM has unique set of dashboard with 70+ different features for every profile lets you to manage their contacts, invoices and projects. Stream line all your business projects and client managements with webnexs CRM task management. Generate your invoices and estimates based on your business requirement flexibly with webnexs CRM. Webnexs CRM is 100% customizable for your business needs. All your actions can be accomplished with just few clicks. Webnexs CRM allows you to connect within your project team. Send and Receive messages and files for your project team member easily. From your ordinary enquiry to your satisfied customer webnexs CRM will track your business clients for you. Admin can now create new users and set permission based on their roles. Each user gets separate set of features in their dashboard. User can connect their emails accounts with tickets systems. You will get alerts via your Email when you receive a tickets request. Clients can now contact the admin directly. You can raise a ticket with option to choose whom to contact in your project. General settings allow you to manage the company name, phone number, Email id, logo and many more. Email integration systems allow you step up your email account with Webnexs CRM. Email templates system allows designing and modifying your Webnexs CRM’s transactional emails like register emails, forgot password emails, activate account emails and so on. Permission settings allows you to manage your staff and clients permission on your Webnexs CRM. Payment settings allow you to link your business PayPal account In CRM with option to change default currency, symbol and tax levied for your sales. Invoice setting allows modifying due date, color, logo, terms and so on. Project settings allow you to create the project and set the specifications. Clients can directly contact the admin of the application through the messaging system. Can able to view the list of all invoices and estimates of your projects. Payment sent features allows you to view total amount of payment sent towards the desired project. 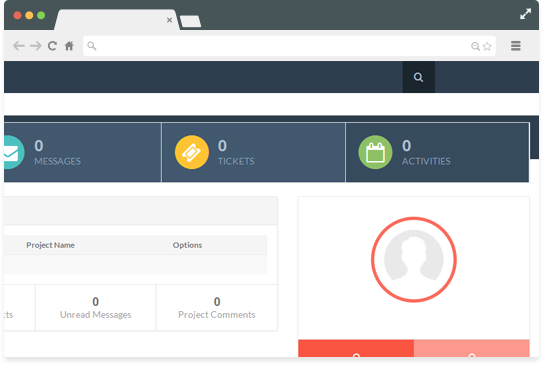 Tickets features allow creating and sending the support ticket to the desired person in the team, set priority and attach the concern file. Can view the project created by admin of the selected project. Staffs can message directly to anyone in the project with the concern file. 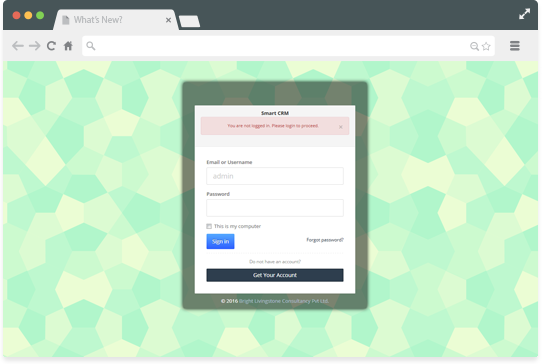 Staffs can create or edit or change status of their project’s support tickets. They can also view the files attached with the tickets. 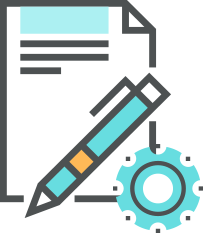 Invoice management allows you to create, edit, preview, Email, print and download your invoices. After generating the invoices you can convert them into payments received status using pay invoices option. You can sort the invoices based on the Reference No, Due Date, Tax Status, date of created and Date sent. You can send a nice and warm remainder message to the clients email ID with a back link to view the invoices. One click option to convert your invoices to payments received. 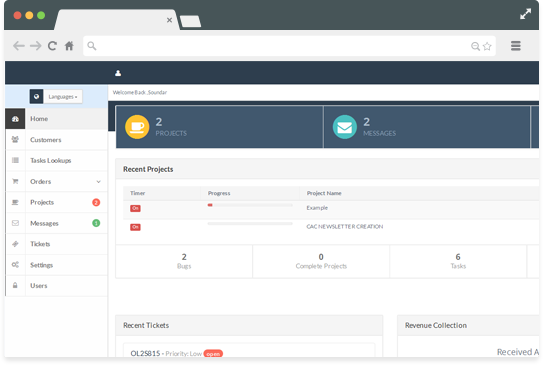 One of the most beloved features in Webnexs CRM is Webnexs project management system. Webnexs PMS is completely flexible to any projects and gives a 360° view of your customer’s ongoing projects. 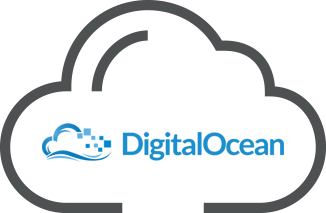 Some of the awesome features includes Milestone, Project tasks, Project files, Time Sheets, Project comments, Project history, Project settings and so on. You can easily clone the project so that you don’t have to repeat same procedure of adding information again and again. 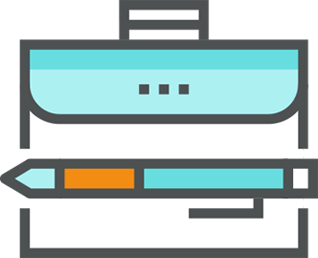 Convert your projects to invoices in just one click. Webnexs CRM will calculate the time taken for the project to complete and bill your clients. Schedule your project with timer and deliver the product in right time. 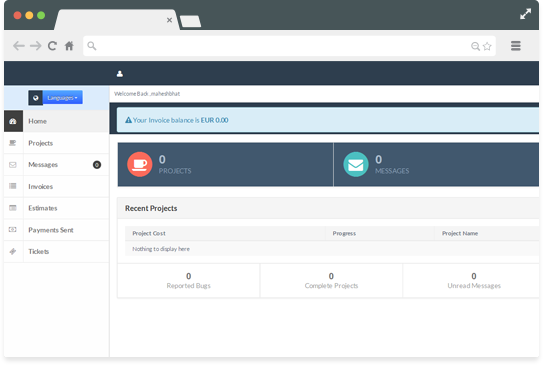 Webnexs CRM allows you to set timer for each of your project and your team member will be notified periodically so the project will be completed before the deadline. 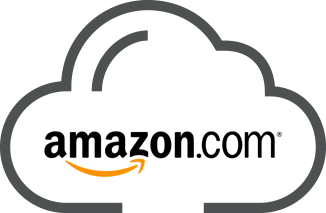 solution from Amazon to your business. with just 10$ per month.